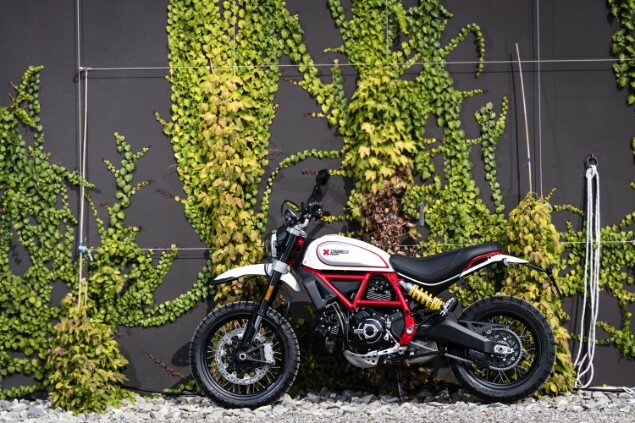 Ducati has updated three more of the Scrambler range for 2019 with a host of upgrades that cover styling as well as technology. 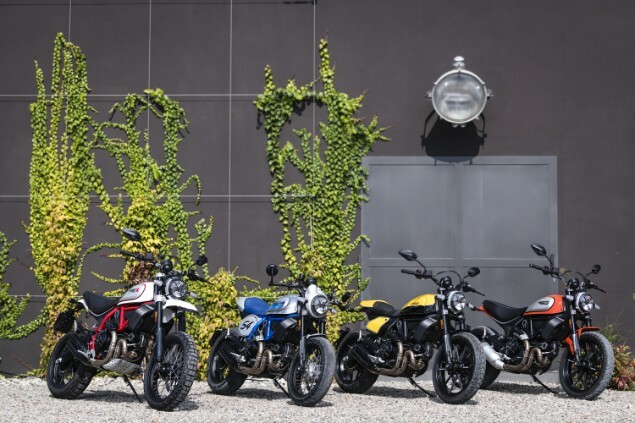 The three bikes were revealed at the recent Cologne motorcycle show in Germany and followed just a few weeks after the standard Ducati Scrambler 800 Icon was launched. You can read what that bike is like here. 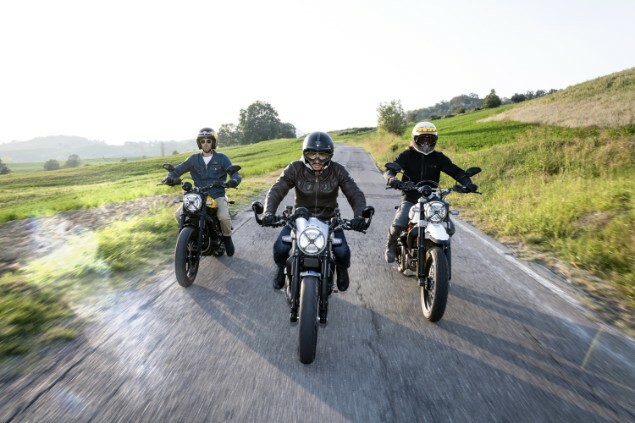 The three models are called Full Throttle, Café Racer and Desert Sled and are updates to existing models in the range that was first shown at the Cologne show in 2014. The new models all share the same 803cc air-cooled V-twin motor that produces 73bhp. 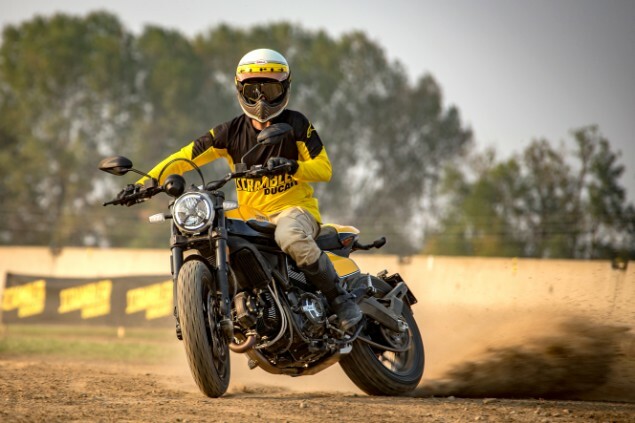 Ducati has sold more than 55,000 Scramber models since it first went on sale in 2015 and the idea of producing a bike that is appealing to new, younger, less experienced riders or perhaps those that just want a simple bike to ride, remains the same main focus. 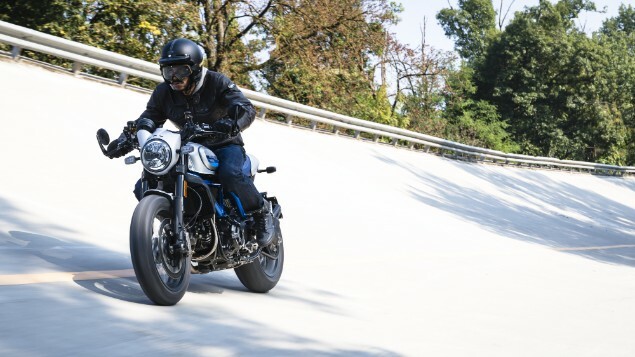 For 2019, all of the Scrambler range will benefit from a number of the same upgrades which will include standard cornering ABS which works, in an emergency braking situation, to keep the bike under control and allow for the rider to stop. All of the models will also gain a new LED daytime running light as part of a new headlight design, new fuel tank side panels, LED indicators, redesigned switchgear and an updated main dash clock which now includes fuel level information. Ducati has now also developed a new Ducati Multimedia System which allows the rider to listen, through a Bluetooth-equipped crash helmet, to music, answer incoming phonecalls or chat to the passenger with an intercom. The Full Throttle has a style based on the flattrack racing bike campaigned by Frankie Garcia in the 2018 American Super Hooligan Championship. It gets two-tone, black and yellow fuel tank colours and an all-new rear seat unit and seat design with side-mounted numberboard holders. The low-slung handlebars combine with a short front mudguard and twin exhaust silencers for a distinctive look. Ducati has based this blue and silver colourscheme on the Ducati 125GP Desmo – one of the most famous of the historic Ducati racing machines. This is the reason for the No54 markings that are tribute to racer Bruno Spiaggiari. New 17in spoked wheels and handlebar end-mounted rear view mirrors lend the bike a 1960s café racer look when combined with the nose fairing, side-mounted numberboards and a stubby mudguard. The Desert Sled has the most off-road intent of all the Scramber range and, while it’s not a full-on dirt bike, it does have extra ground clearance and a reinforced frame to enable it to tackled some more demanding terrain. The 2019 models loses the gold-coloured wheel rims in favour of black rims and it gains a red-painted frame along with the mesh-headlight guard, higher-mounted mudguards for a bit more mud clearance and an engine sump guard.